We make our food from scratch with wholesome natural ingredients. We never use chemicals, conditioners or preservatives. Our recipes are prepared in our kitchens daily. Our Bagels have been voted # 1 by Torontonians year after year. Each bagel is lovingly prepared over a 12 hour period by hand rolling and kettle boiling, the old fashion way. It is this time honored tradition that makes Kiva’s Bagels taste above the rest. 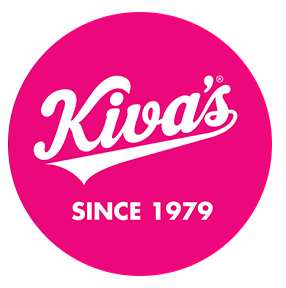 In April of 1979 Kiva’s opened its doors. What began as a partnership between Kiva the Baker and Al “The Dump” Sugar, called Kiva’s Bagel Bakery Restaurant & Appetizers has evolved into a 2 restaurant location, beautiful bakery, gourmet prepared food and cheese shop, full service catering and wholesale bakery.